Today: Merrill fires up the grill to make...toast. This summer (heatwave be damned) we've been trying to make as much use of the grill as possible, and not just for burgers. A lot of the things we cook on the grill aren't ideal for an 18-month-old -- steak, sausages with peppers and onions, fish tacos -- but others work nicely. Grilled marinated zucchini, for example, is great to have around and the texture is easy on little mouths. One of the newer staples of my grilling repertoire is garlic toasts, now loved by the whole family. 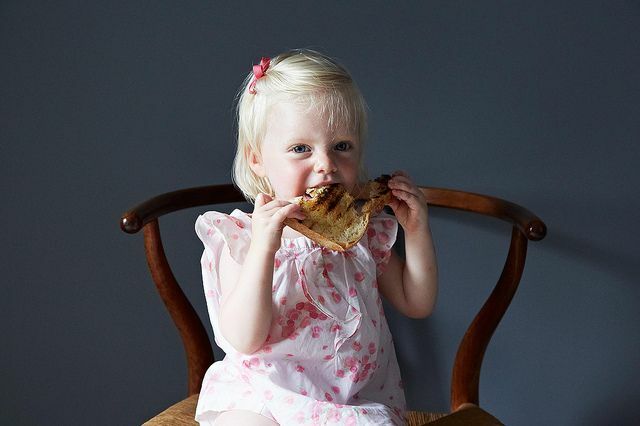 Clara has long been fond of both garlic and toast, so for her it's a match made in heaven. For us, it's a simple side that pairs with pretty much any dish and can be topped with everything from ricotta to sliced tomatoes to grilled vegetables. 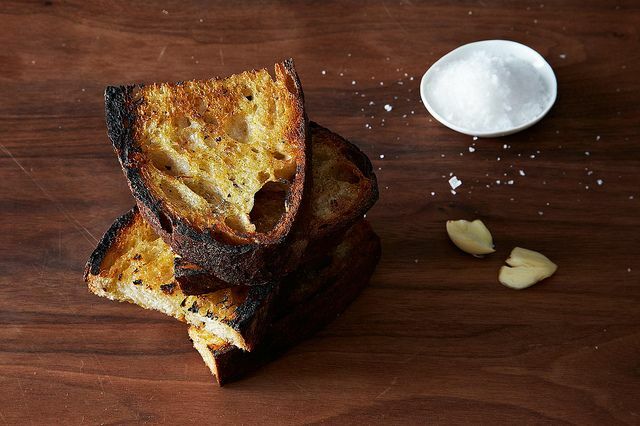 These toasts can be a palette of sorts, or stand happily on their own. Feel free to adjust the garlic to your taste -- it can be as delicate as a whisper or powerful enough to make you breathe fire, depending on your preference. Yes, what is it with garlic and kids? 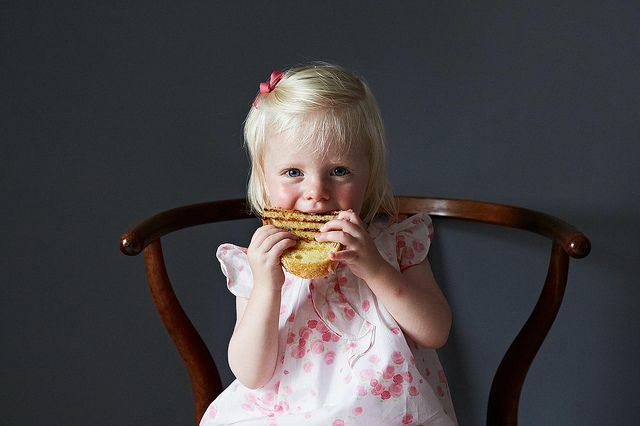 When my son was about Clara's age, he discovered garlic on everything. The rest of his eating was anything but adventurous, but somehow the garlic prevailed. The dress! The babe! Just adorable! So simple, yet so flavorful! Your daughter is adorable! I have twin girls the same age and they love good food! She's getting cuter by the day!